Superior stability, maneuverability, functionality and dependability — you can have it all with the Golden Compass™ Series. Each of our three Compass models is built right from the ground up, with true center-wheel drive and a patented springless articulating chassis. This unique suspension system keeps all six wheels on the ground simultaneously, keeping you in total control at all times — including climbing curbs and thresholds, as well as mounting and dismounting. Each Compass model offers many features that make your life easier and more fulfilling, including our patented fold-flat seat, which makes traveling a breeze. 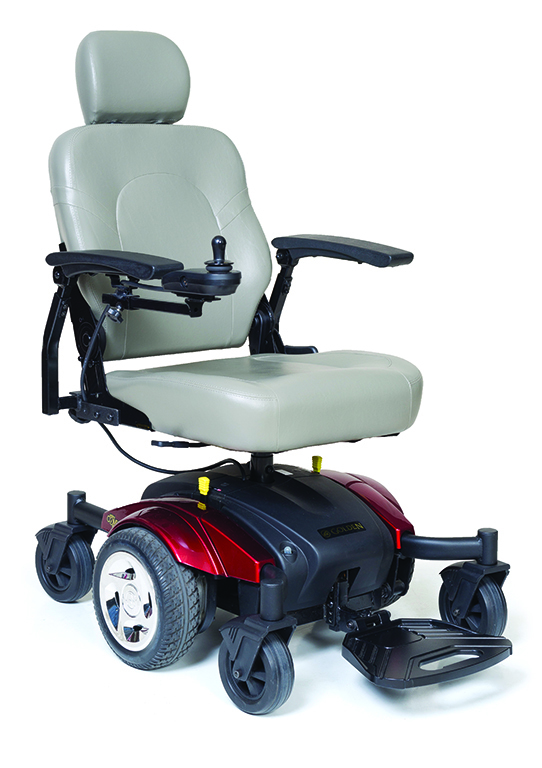 Golden Technologies takes all the worry out of purchasing a power wheelchair. Our expert designers blend the most technologically advanced components with superior designs to provide you with the utmost in quality, comfort and style. We confidently stand behind all our products and provide you with the best warranties in the industry. Choose the power wheelchair that all others are measured against… choose Golden!